For You, the Chi-Card® Secures a Continuous Supply of Chi Energy with all its Benefits! 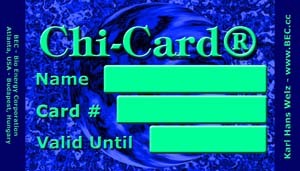 Your Chi-Card® is Energy in your Billfold !!! In fact, with this continuous extra powerful transfer of Chi Energy, you can now have all the energy you need to begin taking control of money, profession, business, relationships, and life itself! absolutely no head phones or goggles !!! FREE Chi Energy for two weeks !!! Get Your Chi-Card® now absolutely risk-free! In fact, the first two weeks are entirely free energy for you. If you are not 100% satisfied with your Chi-Card®, simply let us know during this introductory time and we are going to refund the full amount of your Chi-Card® order. A Gigantic Step into the Future: the Chi Generator® !!! Wilhelm Reich and Franz Anton Mesmer 150 years before Reich invented the orgone accumulator, which is a device that accumulated life force (Chi, orgone, prana) from its surroundings. In 1991, Karl Hans Welz invented the Orgone Generator®. This is a device that actually generates life force: In fact, Karl Hans Welz has built the first generator of life energy in human history! One year later, in 1992, he invented a new material that attracts life force, which he called orgonite®. These inventions marked the beginning of a new era in Life Force technology. As a natural consequence of the invention of the Chi Generator®, Karl Hans Welz was able to explain scientifically any action at a distance or perception at a distance. Consequently, our understanding of manifestation techniques, ESP, remote viewing, shamanism and miracles will never be the same again, and meanwhile entirely new technologies have evolved from this new scientific understanding of life force, or Chi Energy. Transfer of Chi energy at a distance, which was practiced by humans throughout their history, can now be understood as scientific fact. It is the transfer of life force, or Chi energy with the help of identical or equivalent structures: structural links. Based on this science, Karl Hans Welz created equipment to use life force for the transfer of signals across the Atlantic. As expected, no amplification equipment was needed, i.e., life force transferred with full force even at that distance. 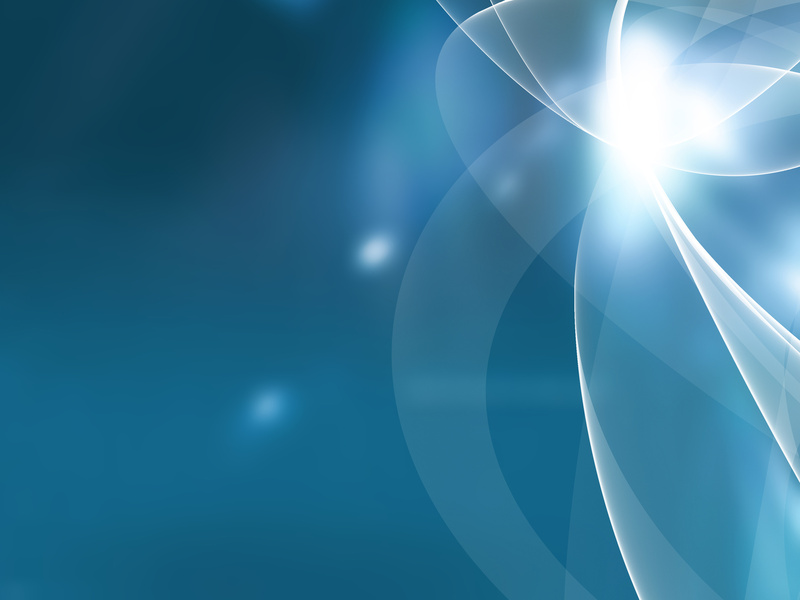 The 48-hour transfer test that you can perform using the structural link of your trial Chi-Card® as a structural link and the energy that you can receive from this transfer will speak more than 1000 words, and you can gain the full evidence of this new technology that is based on ancient wisdom! Take control of love, money, leadership and life itself! You can Activate your Chi-Card online NOW !!! Throughout history, life force has received many names: People of ancient India called it Prana. The practices of pranayama and yoga evolved from the knowledge of prana. The ancient Chinese called it Chi. The practices of Tai Chi and Chi Kung developed from this knowledge. The Polynesians called the mysterious life force Mana. They derived from it the practices of Kahuna. Karl Hans Welz invented the Chi Generator® in 1991 and Orgonite® in 1993. Click here for more information about this extremely powerful new technology, which can mean for you the difference between average results and total success!